Nuts flours are an extremely versatile alternative flour. They are easy to get hold of, straightforward to use and help to produce beautifully moist and flavourful cakes. 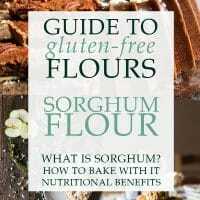 So I’m about to kick off the first chapter in my new blog series about gluten-free flours. 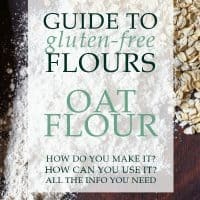 If you haven’t read Gluten-Free Flours: An Introduction first then do head back. Don’t worry, I’ll wait. 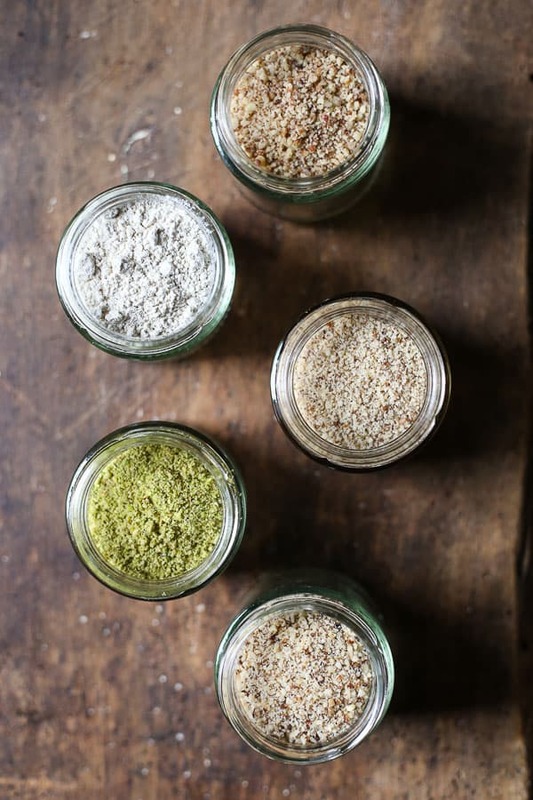 This instalment it’s all about nut flours, nut meals and ground nuts which can all be used as flour substitutes. To keep the conversation streamlined when I refer to nut flours below I’m pretty much heaping nut meals and ground nuts into the same category. If you are a keen baker then there is no doubt that ground almonds have cropped up in an ingredients list somewhere in your baking history as it is a wonderful ingredient which can enhance the taste and texture of cakes when mixed with another flour and on a rare occasion stand alone in place of regular flour. Almonds are the most prolific of the nut flours and we’ll discuss why but we’ll also chat about the role other nut flours can play in our baking and how we can make our own to keep costs a bit more manageable. The best reason to use a nut flour in your baking is to give your cake a moist dense crumb. Nuts are rich in protein so are also commonly used in baked goods for nutritional reasons but they will definitely become your best friends as you rebel against the dry gluten-free cakes you may have tasted before. Obviously nuts contain, well, nuts. So be ultra careful in asking about nut allergies when you are serving up your cake. Nut flours are best used in conjunction with another flour. 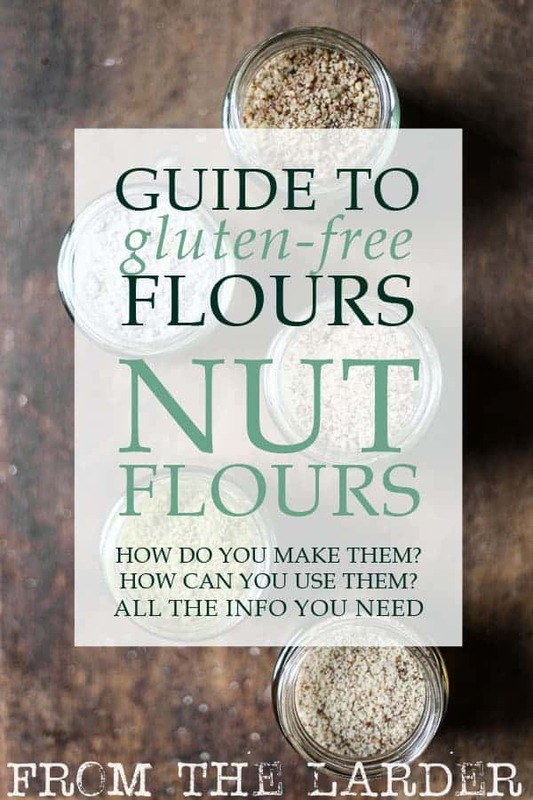 If you are trying to convert a wheat-based cake recipe into a gluten-free alternative then I wouldn’t typically recommend using only a nut flour in straight substitution as nut flours are prone to clumping and are mostly made of fat and fibre so the results can be be quite crumbly. One of the most common ways I use nut flour is to combine it with a ready-made gluten-free flour blend. The nut flour will give the cake moisture and structure and the gluten-free flour will lighten the results and make the finished cake a little more fluffy. It will also help with binding since most blends contain tapioca flour which is an excellent binder. Although you do have to be judicious about which recipes you convert in this way. 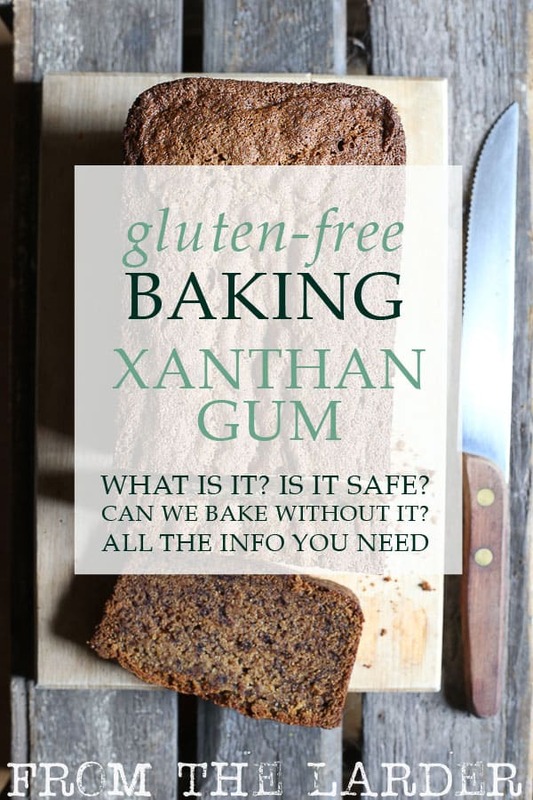 I would recommend sturdy loaf cakes like banana breads, madeira cakes or lemon drizzle cakes where you can try substituting the full amount of plain flour for half nut flour and half gluten-free flour. 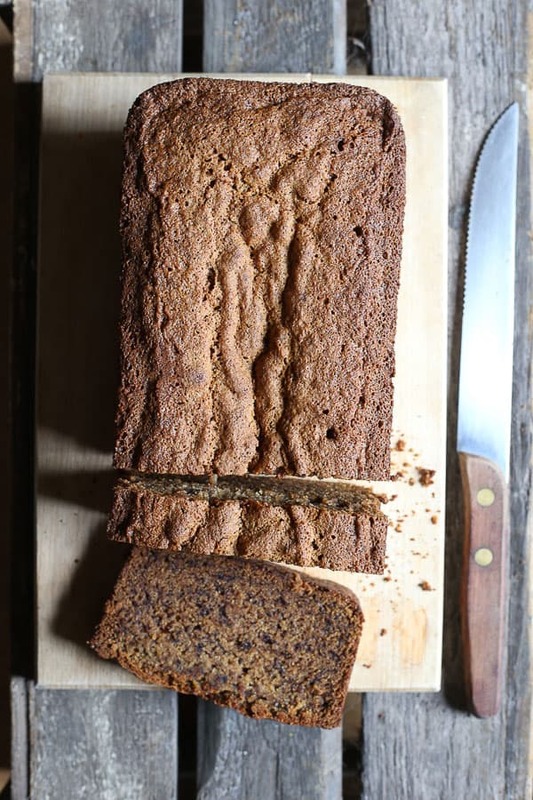 This won’t replicate the wheat version of the cake but create a completely different but just as delicious alternative. 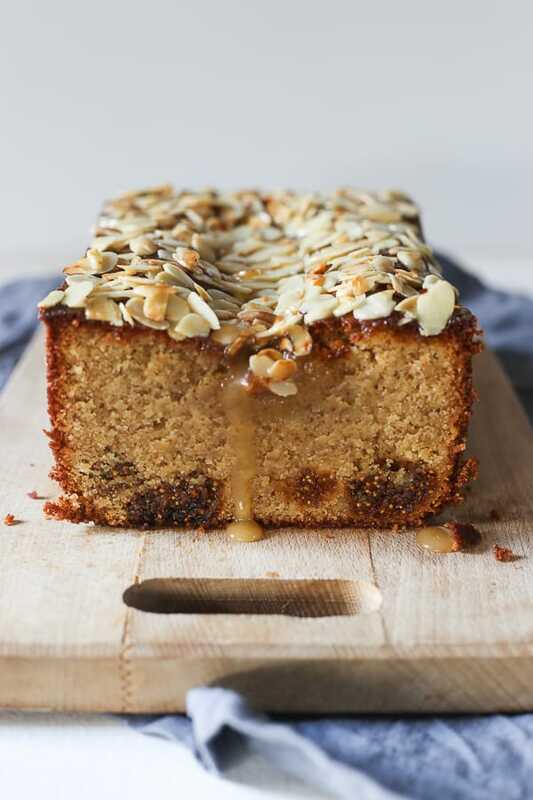 The cake will take on the flavour of the nut and be a little more dense than your usual bake. Almonds are the most common nut flour or ground nut substitute used in baking as almonds don’t impart a huge amount of flavour to baked goods. If you use pecan flour or pistachio flour you will be giving a very distinctive flavour profile to your baking. For example if you wanted to bake a chocolate cardamom loaf then you might choose to use pistachio flour to compliment the flavours. 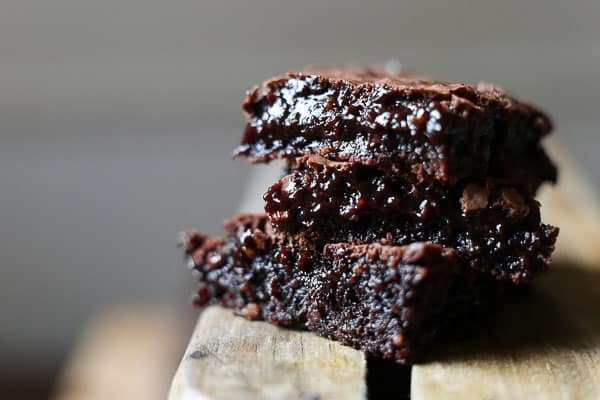 One of the easiest ways to make a deliciously fudgey gluten-free brownie is just to sub the amount of flour given in the recipe for an equal weight of ground almonds, the taste of the almonds will fade into the background behind the chocolate. If you would like the nut taste to be more pronounced then add a splash of almond extract to the brownies or use a different nut flour where the taste will be stronger. Suddenly you can have smooth and fudgey walnut or hazelnut brownies. A few tips though, make sure you use a recipe that uses melted chocolate and not just cocoa powder as the chocolate is needed for binding the brownie. Also make sure you only use a recipe where the amount of flour is 100g or less. 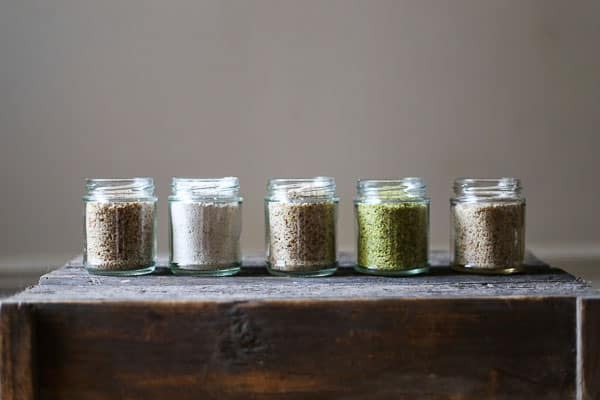 What is the difference between almond flour, ground almonds and almond meal? The three ingredients are interchangeable in most recipes but will yield different results. Almond flour is milled from skinned blanched almonds to a very fine flour and is pretty impossible to achieve in your own kitchen. It is best used where you want the results of your bake to be light and fluffy, perhaps in delicate bakes like friands or macaroons. 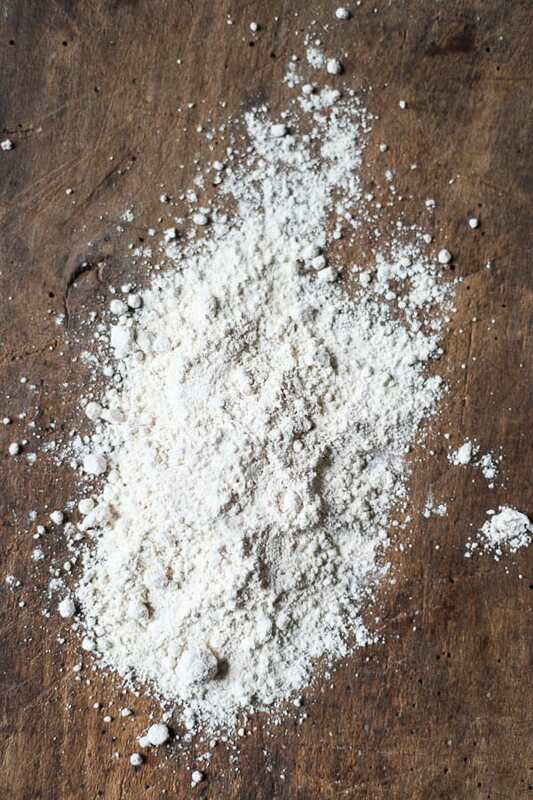 You can buy this finely milled flour in health food shops and online. Ground almonds are the most common of the three and are easily available to buy in supermarkets. They are made from skinned and blanched almonds ground to an even consistency. They are more nubby and not as powdery than almond flour, although they will be of different consistencies across brands. Ready bought ground almonds have usually lost a lot of their flavour so if you are just using the ingredient for texture and you don’t want a pronounced almond flavour then these are the ones you need. Almond meal is really the same product as ground almonds but they are ground with their skins on and are unblanched. 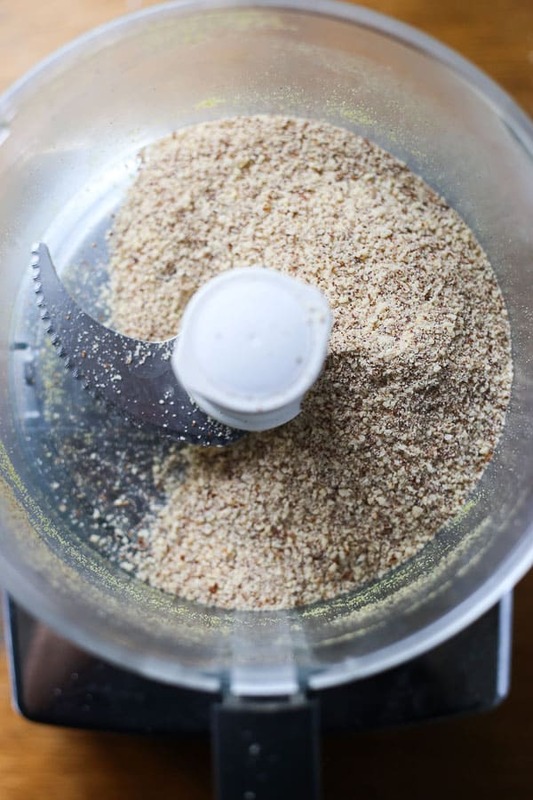 It isn’t a common ingredient to buy but if you have a standard food processor then you can make almond meal with ease. 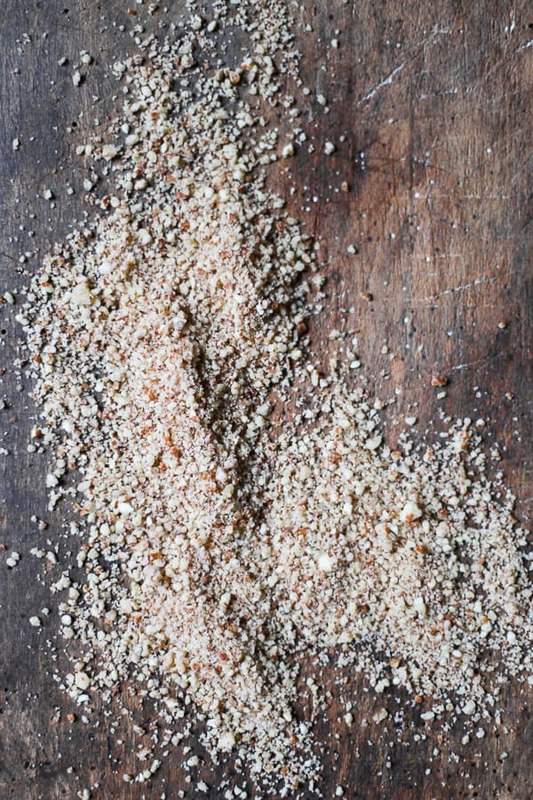 Almond meal ground at home will give the most rustic results. A hint of almond flavour will remain and the cake will be tastier and a little more full bodied. 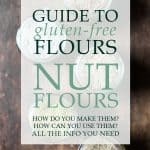 As far as other nut flours go you can buy finely milled flours such as chestnut flour or pistachio flour but they are not always easy to get hold of so the majority of time you are using alternative nuts in lieu of flour then it’s more than likely that you’ll be using ground nuts, also known as homemade nut flour. If you don’t bake with nut flours very often then I suggest making your nut flour on a cake by cake basis as due to the high protein content nut flours go rancid pretty quickly so it’s not an ingredient you want hanging around if you use them infrequently. 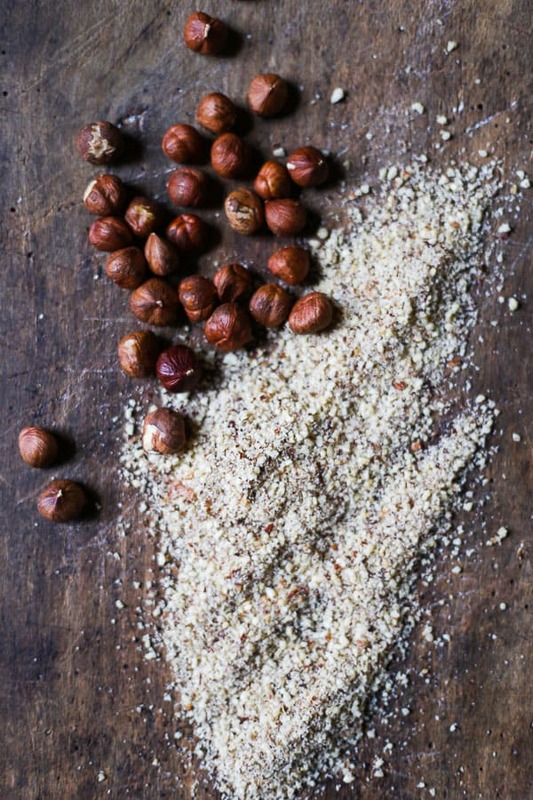 Handily whole nuts weigh an equal amount to ground nuts so you just need to weigh out your whole nuts and then grind away to achieve the correct amount of nut flour needed. It’s not all plain sailing though as nuts release their oils very quickly when you start to grind them. When this begins to happen the nuts won’t be much good for your baking. Oily nuts will give too much moisture to your cake and cause it to sink in the oven. To delay this from happening then you should use freshly purchased nuts, if they are a bit old they will break down quicker. Also pulse the nuts and only work in batches of 150g nuts at a time so you can control the grinding process. The end result will be quite nubby so if you would like a finer ground nut flour then add in a couple of tablespoons of the sugar from your cake recipe along with the nuts. This will help absorb some of the oils. Store your nut flour well by keeping in an airtight container in the fridge which will prolong its life. Added to pancakes, like these Banana and Walnut Pancakes for texture, taste and extra protein. A delicious substitute for breadcrumbs in meatloaves or meatballs like in the below Pork Crackling Lemon Fennel Meatballs. 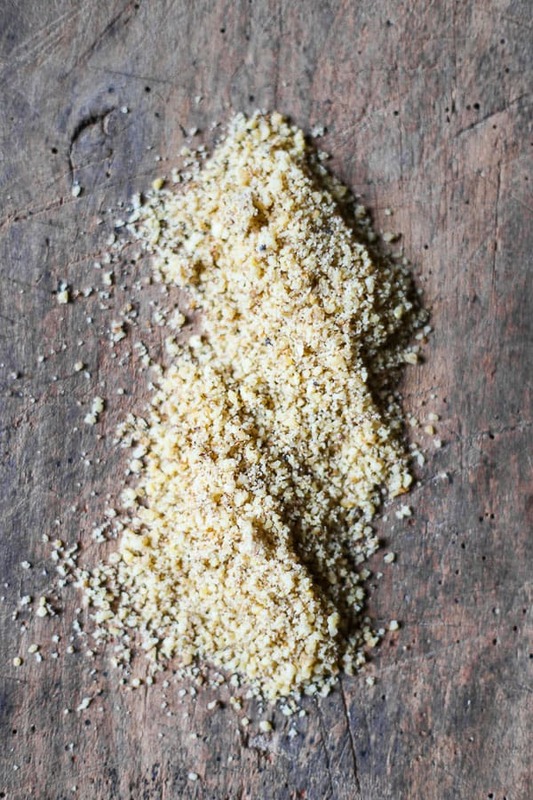 Finely milled almond flour is particularly excellent in place of plain flour when shallow frying fish or coating chicken escalopes. To make a gluten-free cheesecake base grind your chosen nuts up with butter, sugar and some gluten-free flour then press into a springform cake tin and refrigerate to achieve a tasty base to rival digestive biscuits. 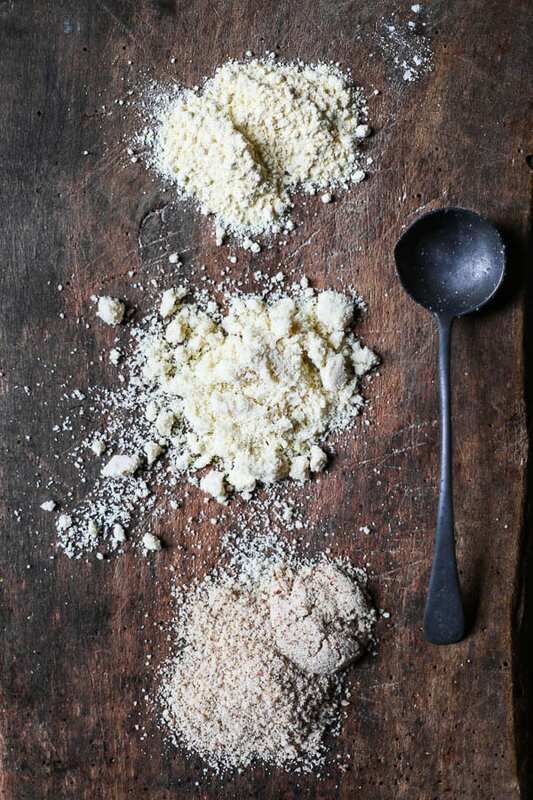 Nut flours are also brilliant in crumble or streusel toppings to add crunch and flavour. 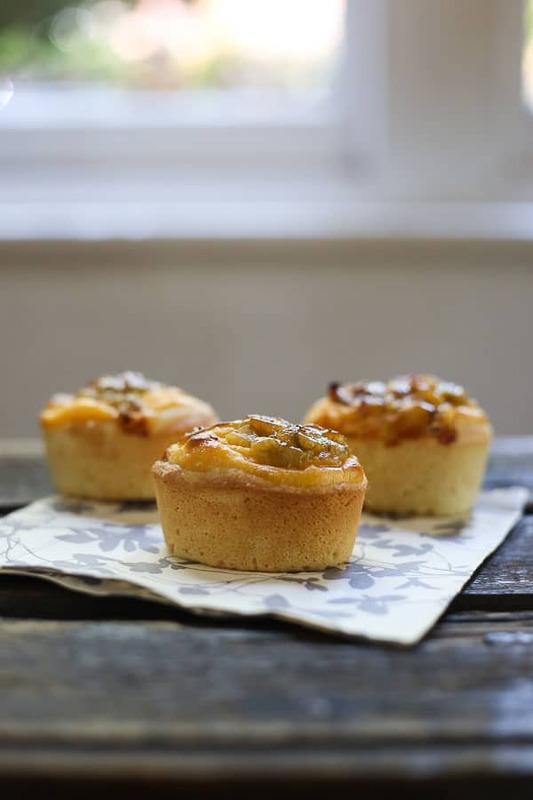 Ground almonds or almond flour is commonly found in recipes for macaroons, friands (like the below Gooseberry Custard Friands) or financiers, frangipane, bakewell tarts and polenta cakes. Commercially bought ground almonds can be quite tasteless so are useful when you don’t want an overpowering nut taste to your baking. Wonderful in autumn baking. Pecans can be very oily so watch this one if you are blending yourself. Walnuts can be a little bitter so use this nut flour sparingly. Beautiful in brownies or financiers where only a little flour is needed in the recipe. A particularly distinctive flour with a rich buttery taste. Ground hazelnuts work wonderfully in this Decadent Chocolate Hazelnut Cake as they are the only flour needed. I usually buy the flour rather than blending myself. A soft gentle flour which is just perfect for winter baking as it pairs so well with Christmassy flavours. 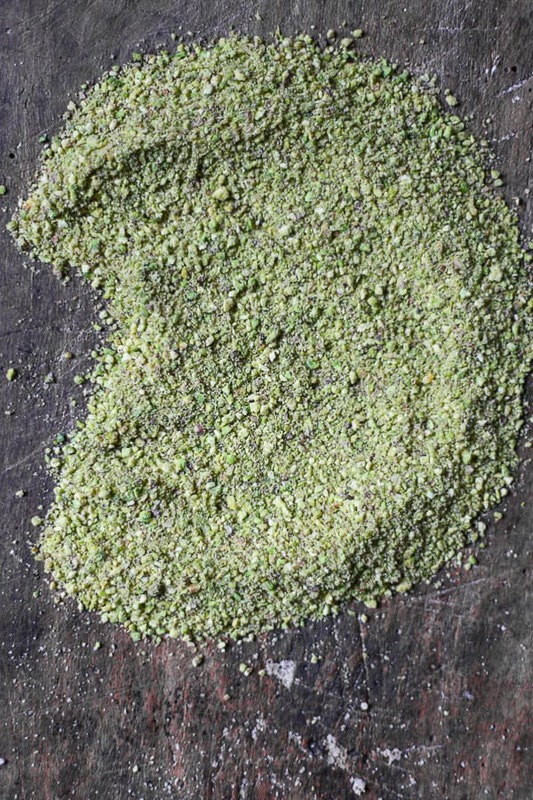 Unmistakably green and vibrant flour. A very rich savoury flour which can hold up to the sweetness of white chocolate and the intensity of rose. Lovely in middle-eastern bakes and the below Raspberry Pistachio Cake. Of course, there are many other nuts out there which you can happily turn into flour, the above are just the ones I find the most useful in my baking. The cheapest way to use nut flour is to buy whole nuts from the supermarket and grind your own at home. It’s worth noting as well that the nuts are often cheaper in the home baking section of the supermarket than the snack section. which I have had for years and years. It produces course nut meal which suits me perfectly. Another wonderful article Georgina. I’m walking home from the park and am reading it on my phone as I’d been eagerly awaiting g this second instalment and got excited when the email pinged in lol! Thank you Jo!! I’m really enjoying writing this series and can’t wait to publish the next one!